Can you believe how fast this year has gone by?! I feel like it was just New Years. Time flies when you are having fun- I guess (and even if you are not). Therefore, it is best to just enjoy it anyways. 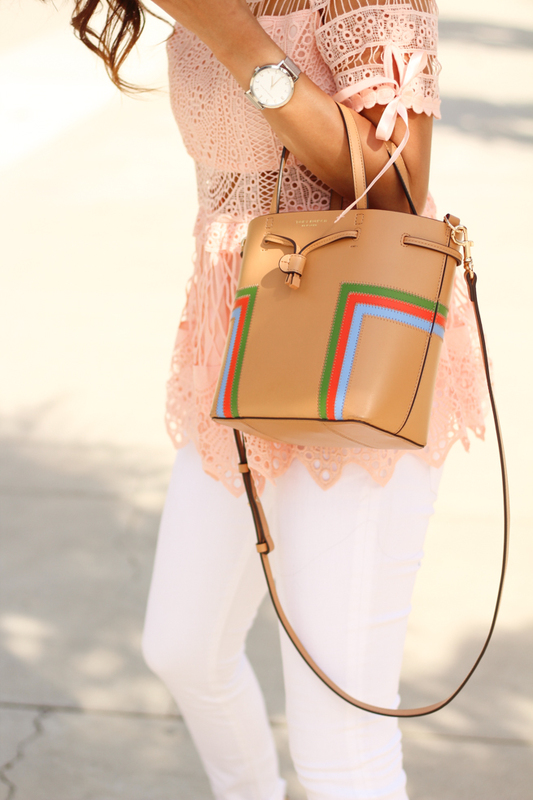 Today I wanted to share this cute little top- I am in love with it! 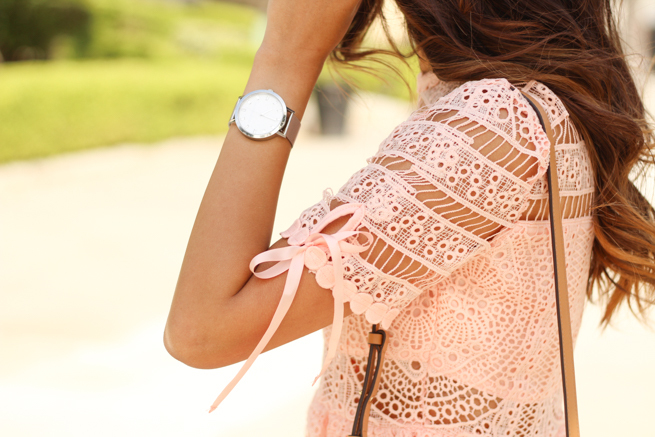 This is the prettiest shade of pink and the crochet and lace on this is beautiful. AND, it is under $50! Also it has sheer cut outs, but it covers in the right areas to wear a bra. I don't know about you, but I love the clothing with unique cutouts or low backs, but it makes it impossible to wear bras. I always end up wearing a sticky bra- but they aren't my favorite. With this top I can wear a regular strapless bra- win!